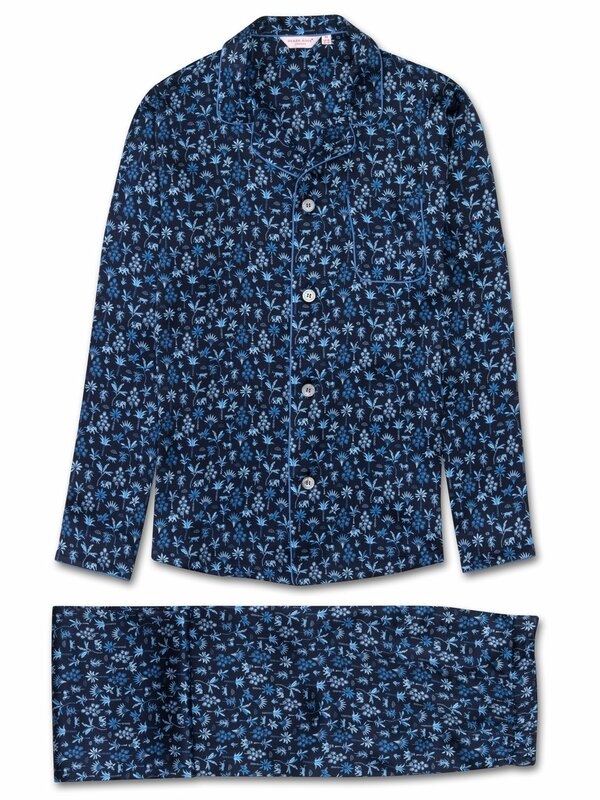 Designed in London and handmade in our Cheshire, England workshop using the finest Italian silk, our modern fit Brindisi 23 piped pyjamas for men are crafted from pure navy silk and feature an Indian themed repeat graphic which showcases elephants, tigers and horses hidden amongst the coconut trees. If you look carefully, you may even spot the Rose family cat hiding amongst the flora and fauna! Like all our modern fit pyjamas, the Brindisi 23 is designed for a more contemporary cut; one that is closer to the body without being restricting.